Featuring 2 drones equipped with a powerful, stabilised camera with a headless mode that always shoots from your perspective, regardless of which direction you’re flying, the Kogan Ghost Drone will deliver incredibly eye-catching photos and videos, without breaking the bank. Headless mode for easier flying – regardless of orientation! 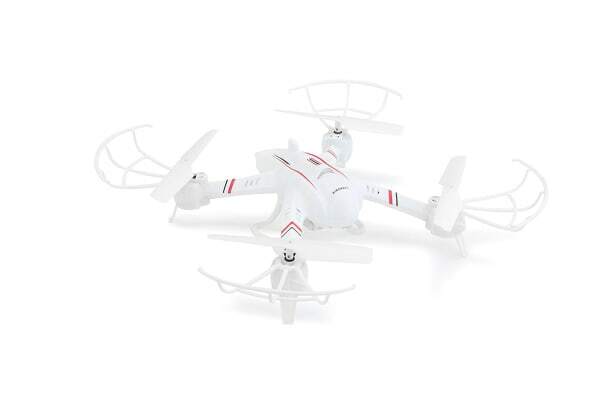 Take to the sky with this easy-to-fly drone that captures great photos and video but won’t put a dent in your savings. 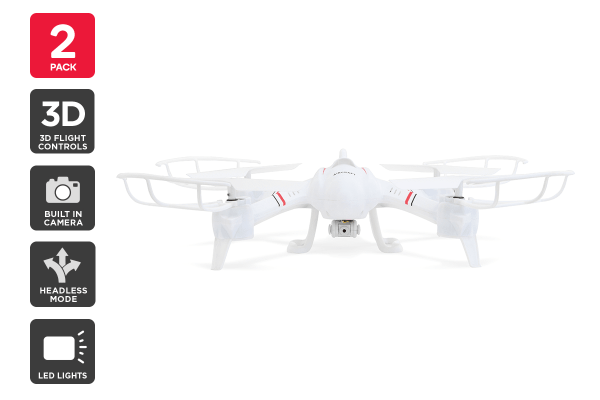 The Kogan Ghost Drone boasts smooth flight performance up to 30 metres, while four powerful propellers hold the camera steady for graceful, sweeping shots or rapid action videos. 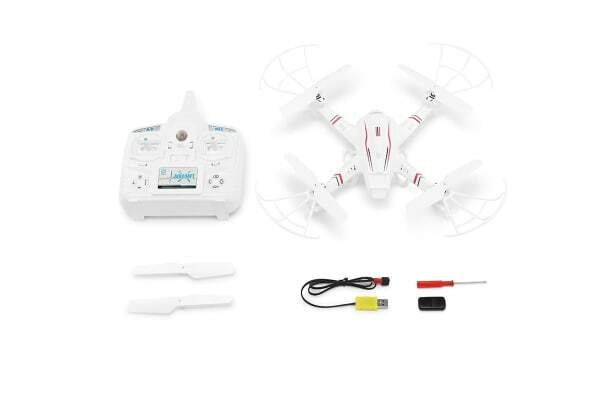 Plus, with a built-in camera, 2GB SD card, controller and brackets included, the Kogan Ghost Drone is ready to fly straight out of the box. Just charge and go! Pilots, forget worrying about orientation. The Kogan Ghost Drones’ headless mode allows the drone and camera to always follow controls from your perspective, regardless of which direction the body is facing. It’s as simple as making sure the drone is facing your front before take off!